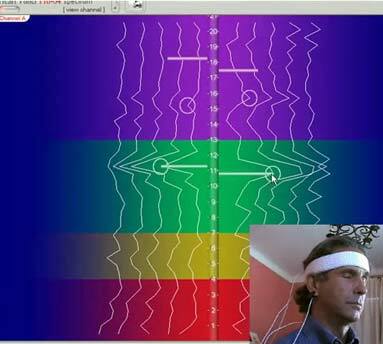 COMPRESSION-the GEOMETRY OF ATTENTION:Neurofeedback for A.D.D. 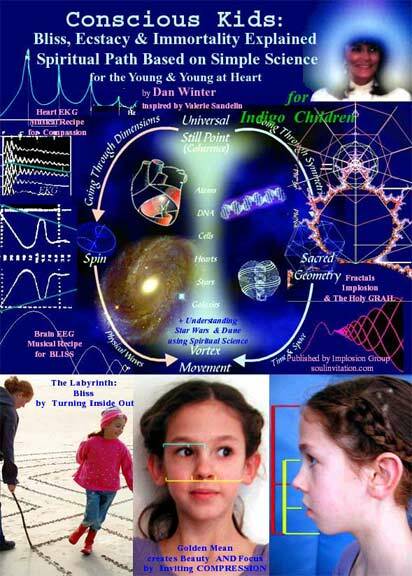 The history, evidence, and context- for a theory of peak pereption / bliss - based on GOLDEN RATIO / PHASE CONJUGATION in Brainwaves. 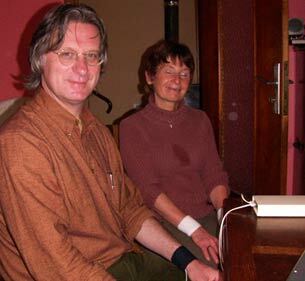 This is the story of Dan Winter's first golden ratio - EEG invention the BLISS-TUNER- which is the predecessor of the new - 2017 - FLAMEINMIND.COM Brainwave biofeedback invention. 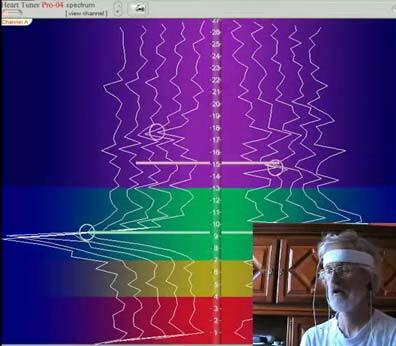 This article complements the physics of consciousness science article on PHASE CONJUGATION in PERCEPTION MECHANICS: www.fractalfield.com/conjugateperception ... literally a FLAME IN THE MIND! 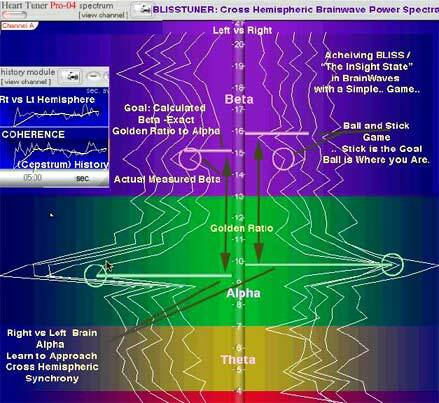 M. Pitk�anen, January 29, 2011, refers to PHASE CONJUGATION as mechanism of consciousness- 71 times. 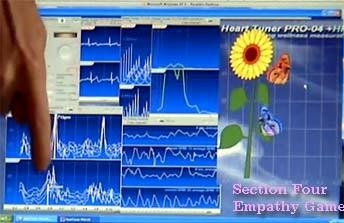 NOW - includes each item shown above - plus ALL the training materials and disks shown below. 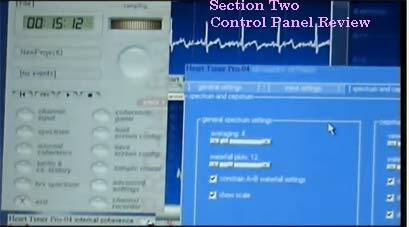 Now is the perfect time for us to arrange new demonstrators / teachers / researchers - with this VERY new system- we are pleased to work with you. 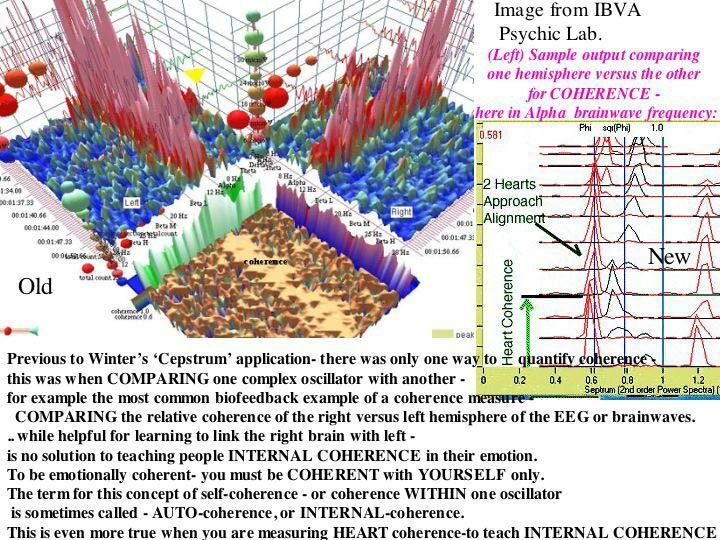 a ) Can internal COHERENCE be measured DIRECTLY (the 'cepstrum') - revolutionizing EEG and EKG biofeedback- particularly A.D.D. 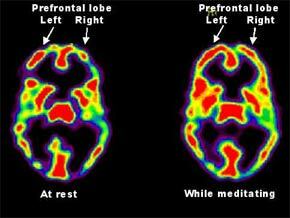 & Addiction neurofeedback ? 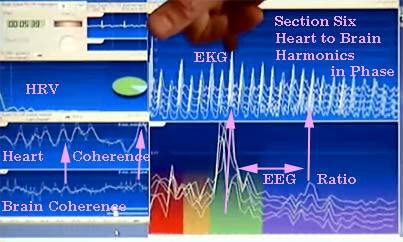 c ) Does the HARMONIC INCLUSIVENESS - which has medically proven to measure survival and vitality in Heart Rate Variability - also apply to brainwaves - and in fact every living thing? 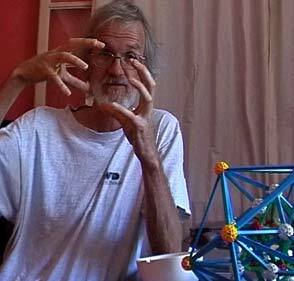 In a word YES! 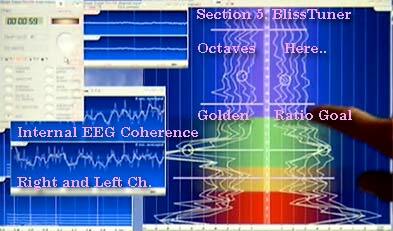 - The KEY is to recognize FRACTAL (self similar compression) in a harmonic analysis (your EEG power spectra). 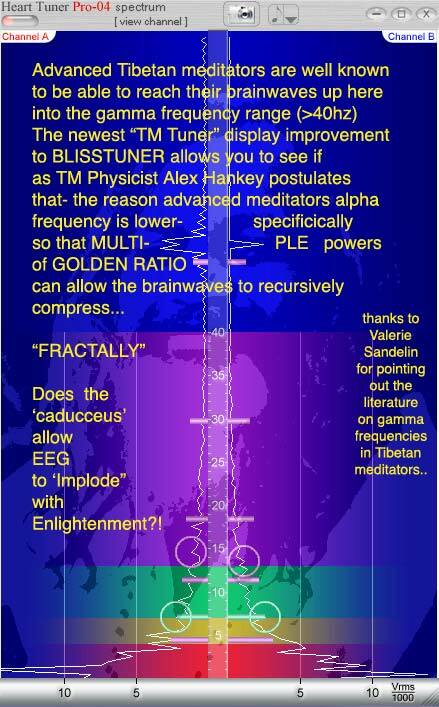 And the key to THAT is to understand WHY - the Golden Mean ratio is the key to the fractal self-similarity which invites charge compression (ATTENTION!!!). 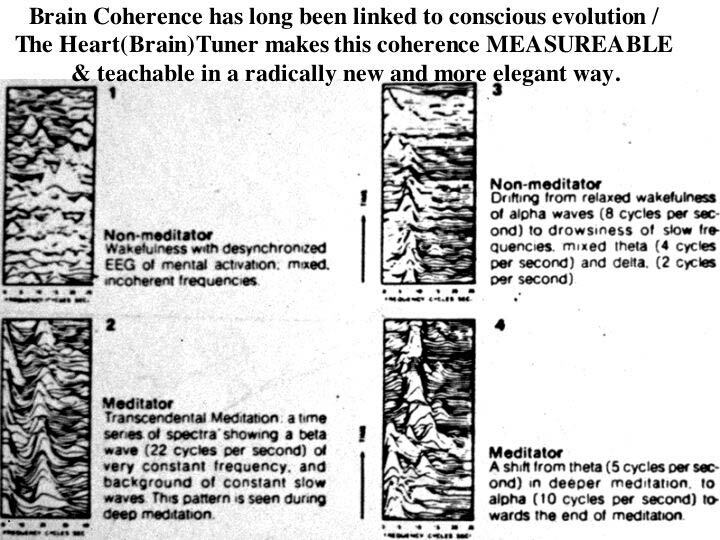 Is "Implosive" Charge Compression - the Ultimate Way to Attract + Store Biological Information? 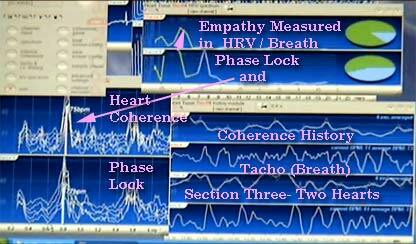 .. the NEW HeartTuner BlissTuner - HRV / Breath Software Release - emerges from Beta this week!.. 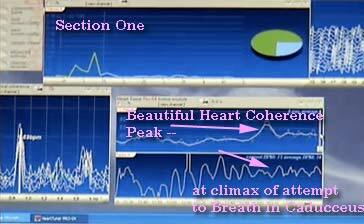 or are you being taught to breathe at only one frequency: (more on this at>) the Heart Math MISTAKE?